We coach intermediate and advanced surfers to achieve the desired results and surf like they never have before. 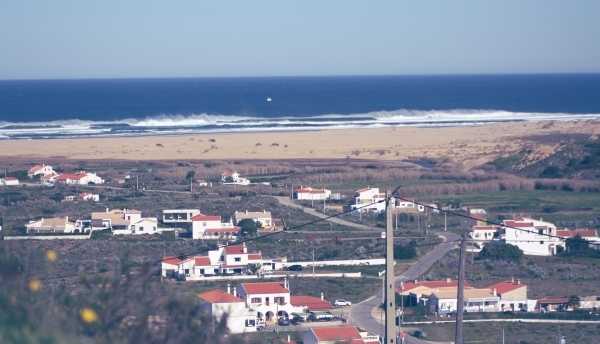 Surf Code is a certified surf school and camp based in Carrapateira committed to provide you a quality surf experience. 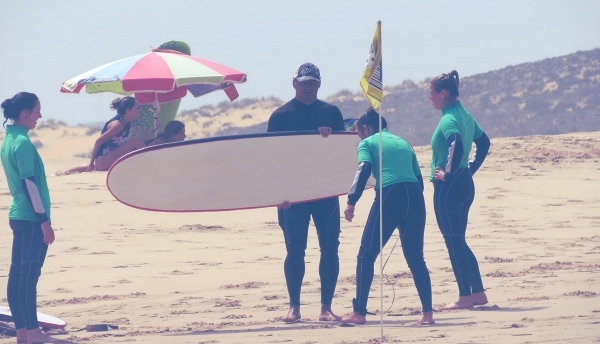 Daily Surf Trips, we will gladly pick you up in one of ours meeting point´s. Small groups for quicker progression and maximum safety . 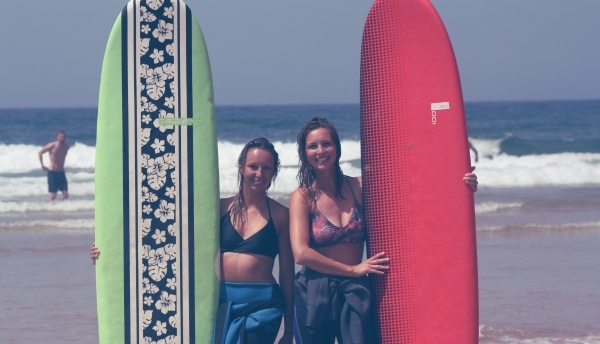 Our Group Surf Classes are for beginner surfers of all ages. Whether you have surfed a few times and are still finding your feet or this is the first time you have ever surfed before. Our Private Group Classes are perfect for couples who want to share their experience with just the two of them, groups of friends or families who want to personalize their surfing experience. 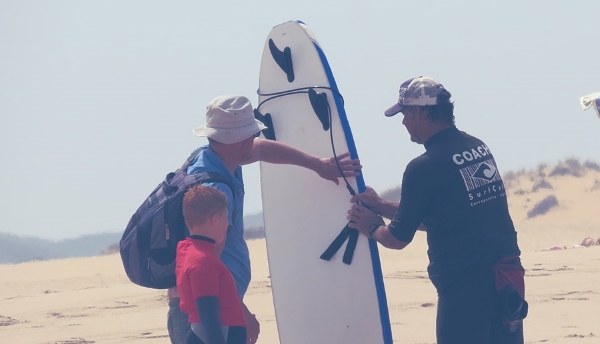 Whether you are determined to get up on that first wave or a more experienced surfer needing some feedback on your surf technique, our Private Classes are a great way to improve your surfing. We'll take you to some of the best beaches on the Algarve Coast Line. Enjoy pristine beaches and perfect waves along one of the most amazing strips of coast in the world. This was actually our 2nd time with Surf Code. Surf Code is just phenomenal. Everything is perfectly organised. The surf coaching at Surf Code is systematic and they coach in a very logic way. 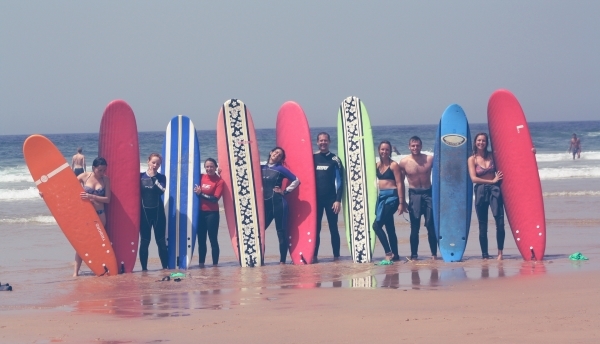 Surf Classes for adults with the exceptional coach Miguel, excellent food and amazing surf! I took my husband here for his birthday. 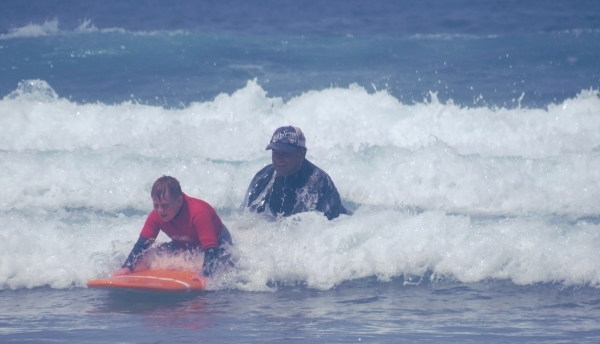 Coach Miguel took me from super novice, riding the white water, to getting out back and catching waves to shore. Thank you Surf Code! Trip of a lifetime for me, i'm a 40 yr old surfer who first paddled out at Huntington Beach in 1983. My son traveled with me and we both had a great time here and were fortunate to catch some really good surf!